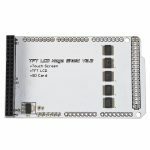 In this project, we will use an Arduino Mega2560 board to drive ILI9341 or SSD1289 3.2″ touch screen. Put the screen(3.2 inch screen schematic) into shield (TFT01-3.2 shield schematic) first, then connect the shield to Arduino, it is quite straight forward. Download the test program (www.kookye.com/download/3.2inchscreen/3.2_inch_touch_screen_test.zip), upzip and open it,then choose the correct board and port. In SD_test file,there is sketch file with some pictures to test the SD card. In URTouch_ButtonTest_3.2,there is sketch file with keyboard to test the touch function. In URTouch_Calibration_3.2 file,there is sketch file for calibration procedure. In URTouch_QuickDraw_3.2 file, you could use the sketch to draw lines on screen. In URTouch_QuickPaint_3.2 file, you could use the sketch to draw different color lines. In UTFT_Demo_320x240_Serial_3.2 file,you could use the sketch to display kinds of lines shape, such as sine line and cos line. 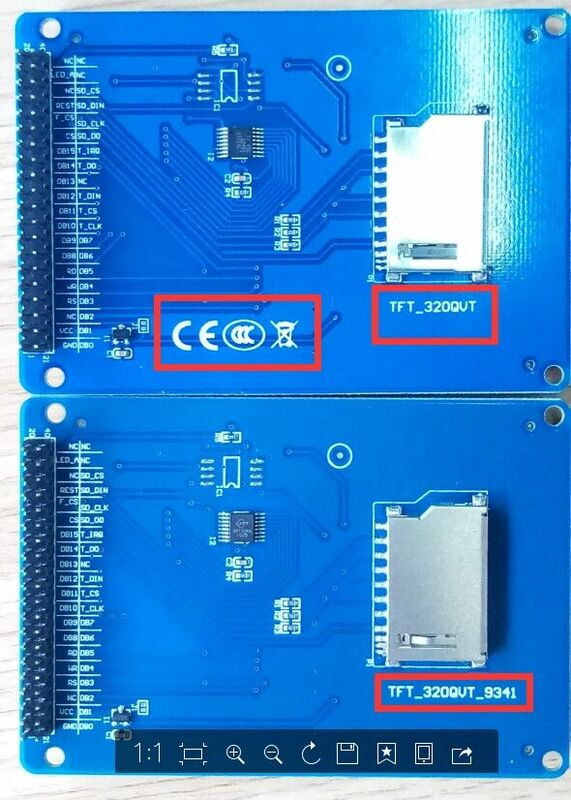 When you use the others LCD screen from the others seller, you could check the PDF instruction in documentation file or open the UTFT.h file to find the correct code.The controller mode could be identifitied by the back mark as the following pictures. Note: In the project of testing the SD card，please insert the SD card into the slot in back of the 3.2’’ LCD screen. 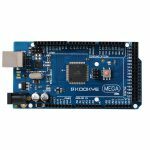 The format of files in SD card must be the FAT32, you need to put the test files(i.e. ICONS.RAW,WAIT4GPS.RAW,SK45) into the SD card root directory. You can find the test files in 3.2 inch touchscreen test\SD_test\Image-files. Please fix the dead links. Very hard to get this working without them. Thanks ,We have updated the download link. [cCb9rsSA] 400 invalid_request: attribute “name” of response is missing and required, attribute: name, parent: response. 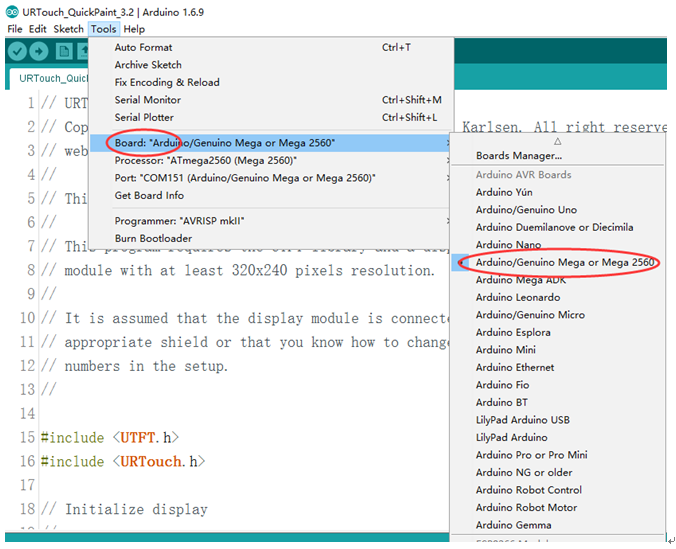 I have followed all of the instructions for the 9341 touch screen with mega and shield. All I get is a white screen. Please advise what is wrong. This is my controller code I am using. UTFT myGLCD(CTE32_R2, 38, 39, 40, 41); I also tried the ILI9341_16 controller, and it is also just a white screen.